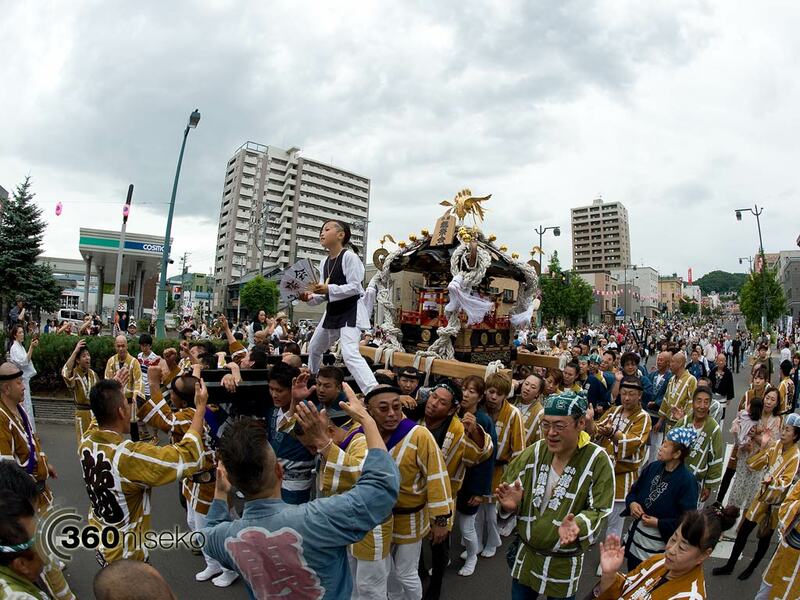 Last weekend Otaru City celebrated it’s 47th Otaru Ushio Festival. 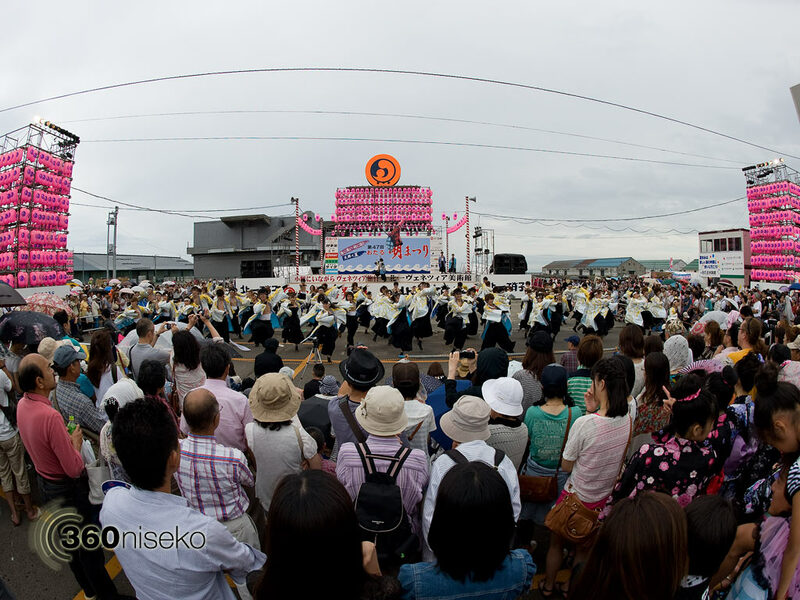 The 3 day festival was packed with all sorts of entertainment and cultural exchanges and centered around the main downtown port area near the historic canal. 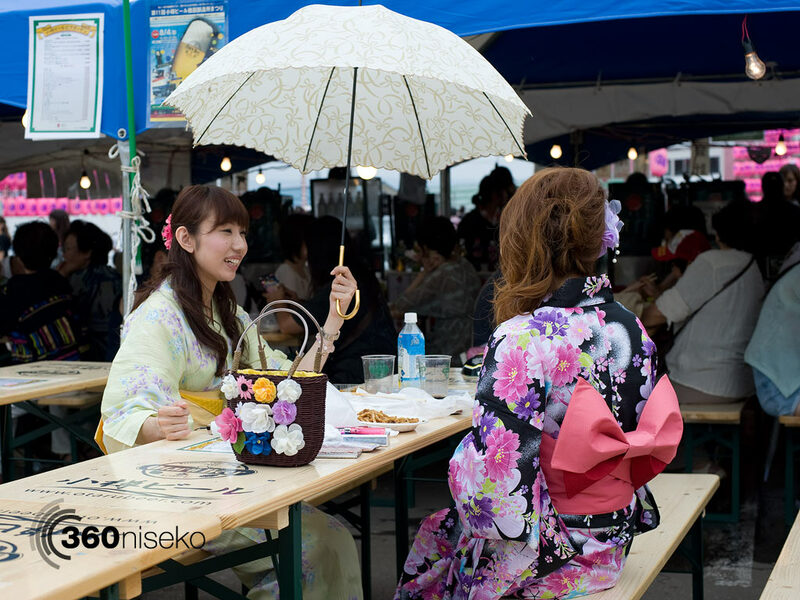 Lots of people were dressed in traditional summer outfits making the most of the amazing food stalls and beer gardens. 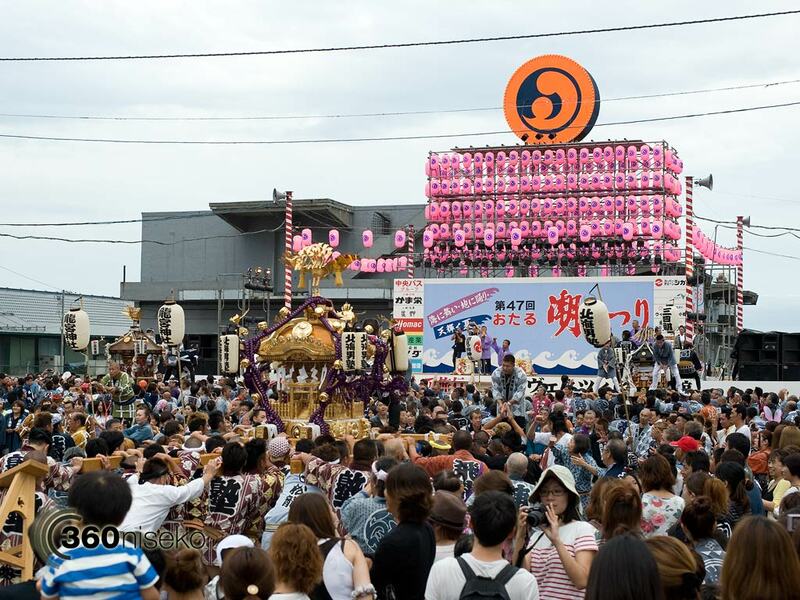 As as yesterday was the last day of the festival the Mikoshi portable shrine parade was one of the main events. 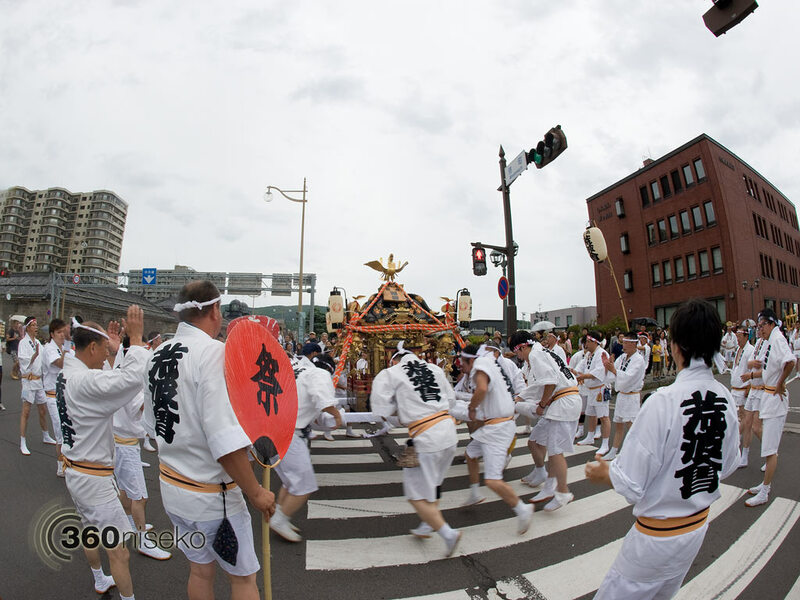 Mikoshi’s are a feature at nearly all summer festivals and are part of Shinto religious custom. 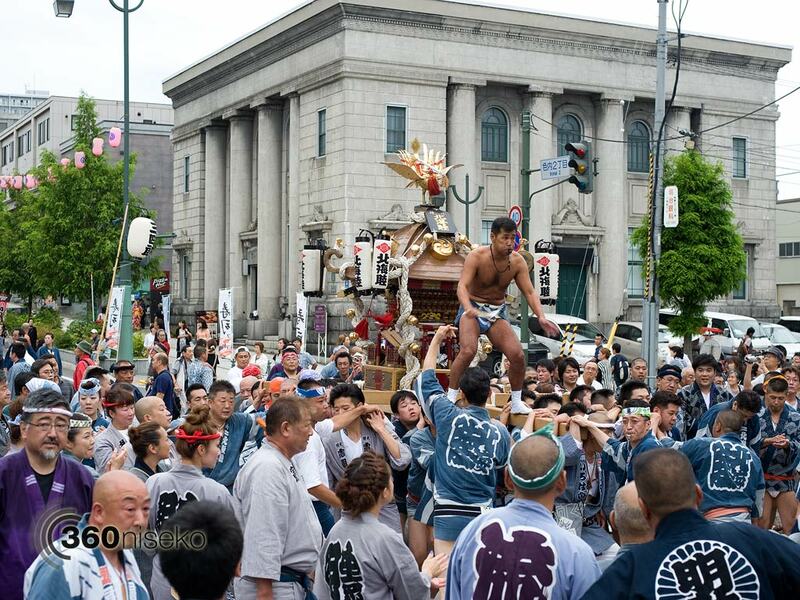 Different local area’s have their own Mikoshi which they parade their god throughout the town or city for good luck. 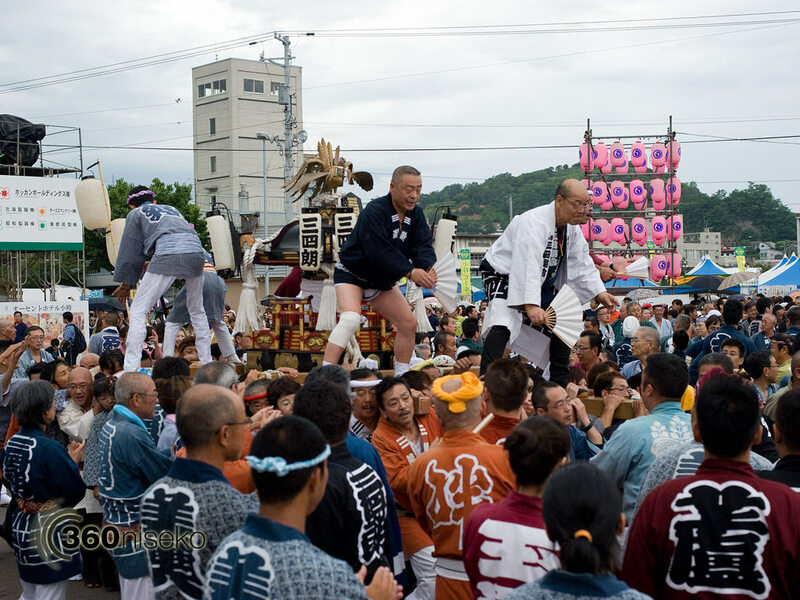 The group below had their own special move – spinning around as low and as fast as they could go on the spot and then lifting the mikoshi up and down as fast as they could. This move delighted onlookers. 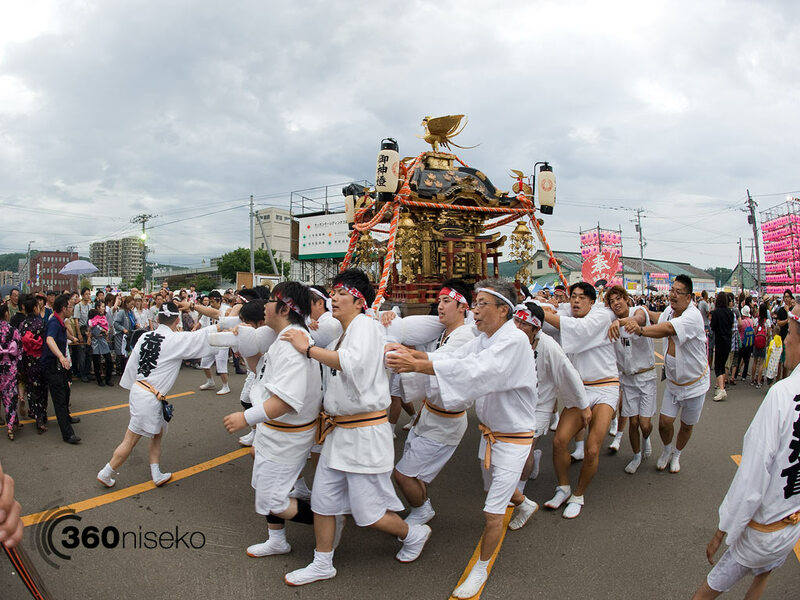 Otaru City is only a 1 hour drive from Niseko and a great sightseeing destination at any time of the year. Getting there by train is also very easy from Kutchan Train Station with regular services to and from Otaru and also takes around an hour. In winter the Otaru Snow Light Festival is well worth making the trip for. Unfortunately we were unable to stay for the closing fireworks display…maybe next year!